Social Recognition, while new to some, has already proved itself to be an effective and engaging recognition tool. It encourages individuals and teams to reach out to recognise one another for the great work they do. A Social Recognition platform provides a toolkit, which can build meaningful relationships as well as supporting an organisation’s culture and values. It has the immediacy and reach not available to other forms of recognition. These are just some of the elements which make Social Recognition especially appealing for organisations to implement as it helps turn a workplace into a great place to work. Welcome to the world of Social Recognition! The sincerity of our appreciation is heard in our words and actions. Social Recognition helps your organisation to build a culture of daily appreciation. It encourages all members of your workforce to articulate their appreciation – their ‘Thanks’, to colleagues for a job well done, in a timely and frequent manner. Appreciation goes a long way. It can be the difference between staff deciding to remain with you or to leave. In his ‘Top 9 Leadership Behaviors that Drive Employee Commitment‘, Joe Folkman comments: ‘some organisations are all push (drive for results) and no pull (inspiration), which ultimately reduces motivation.’ A balance needs to be created between the two behaviours. Social Recognition makes employees recognition more visible to all and inspires others to replicate those behaviours. In other words, Social Recognition gives you a tool with which to drive company behaviours. How do you build your organisation’s culture and how do you connect new colleagues to that culture? A Social Recognition platform can be used to mirror your desired culture to all colleagues. Is it time to undertake a cultural re-assessment, to put your finger on your organisation’s pulse? Your culture is a living organism, which grows under the influence of many factors. Is it growing in the direction which benefits your organisation? A Social Recognition programme requires large dollops of good design – something we all expect today. It also requires a clear, intuitive interface, which is easily customised by the users and administrators. For example, the programme design should be able to include company newsletters and events as well as employee work anniversaries. These make it an attractive and function-rich recognition tool – especially for Millennials. Employee Recognition is the best and easiest strategy to engage your employees. It is a strategy which also builds an engaged, collaborative work environment. Social Recognition programmes can provide managers and employees with a tool, which can support organisational goals and increase employee engagement levels. Employees want their workplace to be fun and funky. Social Recognition can bring the funk into your organisation. It gives employees permission to communicate and socialise with one another and to thank one another frequently. As a bonus, they are simultaneously building your organisation’s culture. Employees can easily recognise a genuine ‘Thank you!’ Social Recognition allows employees to give genuine Peer-to-Peer and Spot Recognition when it matters most – immediately after that behaviour is witnessed. In traditional programmes, these recognition moments have typically long passed. However, being ‘Social’ gives you an immediacy that is fresh and genuine. HR are the enablers of employee recognition. It is not their task to build an organisation’s culture – something central to any organisation’s identity. Instead, Human Resources are part of the team that builds the organisation and therefore contributes to its culture, but it is not wholly their remit. HR can assist in setting out the ‘cultural foundations’ and then employ a Social Recognition tool to organically build cultural appreciation from within. If you can give instant recognition to a member of staff for a job well done, you will help them to build a positive link between that behaviour and their future behaviour. For example, if you see someone picking up a trip hazard in the corridor, recognising that action and thanking them helps them recognise their action is appreciated and immediately reinforces their behaviour. INSTANT is best! J is for a Job Well Done! While I can be satisfied in knowing that I have done a good job, knowing that someone else knows, and has said so publicly, is a great boost to me. It encourages my future, marginal effort and also singles me out as an employee, which my organisation wants to keep – and possibly promote. With Millennials fast becoming 50% of the workforce, the ability to say a speedy and meaningful ‘Well Done’ will become more critical for all organisations. Is being kind unbusinesslike? You need kind colleagues, who are good natured and benevolently disposed. They remember birthdays, organise cake and send ‘Get Well’ cards. They are the secret glue holding your organisation together. Their kindness encourages the development of collaboration, communication and creativity, some of the soft skills that many US senior executives identify as missing from their workforce. Recognise them and you build an empathic culture, as well as a collaborative and creative organisation which values good lines of communication, the importance of emotional intelligence and the ability to recognise a job well done – and cake! A Social Recognition platform allows you to leverage all your company initiatives and activities around employee engagement. Events, photos and videos are posted to the platform which encourages employees to get involved! An example is posting voluntary work done by employees for the organisation’s chosen charity. Company celebrations can also be leveraged using social recognition by posting messages and images of special milestones such as employee Service Awards. In a mobile world, you need a recognition solution which moves with you and your colleagues. It should be available across a range of devices, including smartphones, tablets and computers. We use mobile devices to communicate outside of work: why not use the same mobile technology to engage and communicate with colleagues at work? Social Recognition addresses these concerns. Every employee has a social recognition account and can participate in giving and receiving recognition in a transparent manner. Rewards can be of a lower value but given with higher frequency. Social recognition allows instantaneous recognition of high-value behaviours which conform to best cultural practice. How confident are you in your organisation’s onboarding process? As your organisation welcomes new colleagues it will have a plan in place to support them over the following six months. (NB: Millennials make decisions about whether to stay or to go in the first six months of employment!) A flexible Social Recognition platform can support the onboarding process by acting like a ‘Market Square’ with access to information that will facilitate the process. In larger organisations you may know someone’s face – but can you put a name to the face? There’s the challenge … but one that can be addressed by implementing a suitable Social Recognition platform. To the employee, it affords the ability to develop their profile, to include a picture and some editable, personal details. Members of larger organisations i.e. 50+ employees will experience difficulties when bringing someone’s name to mind (see: Communications in Organisations, Cambridge University, 183). For any growing organisation, it is always beneficial to bring a name and a face together. Quality work requires quality rewards! You can create a catalogue of custom rewards focusing on products, services and experiences that matter to your employees. This can range from prepaid credit cards or vouchers to a range of gifts. Why not include non-taxable benefits, such as time off or company branded gifts, too? It is refreshing how, for example, Kudos Social Recognition allows you to switch rewards on or off, which helps to make it a recognition-first solution. It also allows you to offer customised and flexible rewards. Quality custom rewards are coveted by staff and leave them feeling recognised and special. They can help to clarify an organisation’s values and build its culture. For organisations with a smaller rewards and recognition budget, custom rewards provide a high level of recognition for a smaller financial outlay. When you are reviewing your rewards, look around and consider what rewards would be valued by your employees. Social Recognition programmes produce on-demand, intelligible reports, which indicate engagement levels throughout an organisation – across all departments and locations. The reports let you know who is giving and receiving recognition, which is linked to organisational core values. This is remarkably useful information as it measures the ongoing implementation of your recognition programme, something difficult to do with traditional recognition solutions. Individual reports can also be used to complement yearly appraisals by measuring how/whether a colleague is living company values. Social Recognition solutions such as Kudos are scalable. This means you can introduce your recognition solution gradually – by users, by location and by country. As it is cloud-based, it requires no costly installation fees or infrastructure management – you just download the app to your smartphone, tablet or computer. Every security measure, protocol and technology is implemented to guard your information. Under Irish Revenue’s Small Benefit Allowance, employees are allowed one small non-cash benefit per annum, up to the value of €500. PAYE, PRSI & USC need not be applied to the benefit. You can allow employees to accumulate points within a recognition programme, which can be redeemed as one annual tax-free reward. A Social Recognition platform can offer uniform coverage of your organisation. It will be available to the janitor, the CEO, line managers and the intern to send and receive recognition. It will be available on desktop computers and tablets, on a smartphone and even in kiosk mode on the production floor. This uniform approach encourages recognition to be given to your colleagues by every other colleague – in a timely and transparent manner. Imagine a platform that can present your vision and values to your workforce, using a familiar ‘social media’ format. Presenting your vision and values in such a manner will assist employees to relate organisational values and to recognise those values in their own actions and the actions of others. Furthermore, this will help to build your organisation’s vision. What are your organisation’s vision and values? If you know them, do others? If not, how will you bring them to the attention of colleagues? 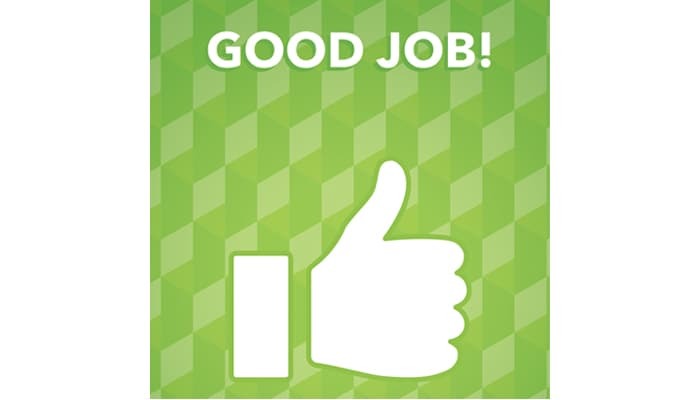 Social Recognition provides a Win-Win scenario for your organisation. It promotes and supports your organisation’s values while allowing for transparent recognition and reward of all colleagues based on those values. The Win-Win result of effective employee recognition leads to greater growth and profitability. A Social Recognition solution which encourages colleagues to excel and one which promotes organisational values will help to promote standards of excellence. The transparent nature of social recognition also helps to identify those individuals that are consistently impressive, and those hidden gems, great brand ambassadors who are ripe for future promotion. Look for ways that You can recognise colleagues on a daily, weekly and monthly basis. Seek out a recognition system that is flexible and customisable, which allows you to shape your culture and deliver your vision. Join the Social Recognition revolution! … because a good and supportive Social Recognition solution will get you out of bed every morning with extra zest, zip and with zero latency. Giving and receiving recognition provides the oxygen of publicity to your values, your culture and vision. If people know your values they can build your culture and live your vision! 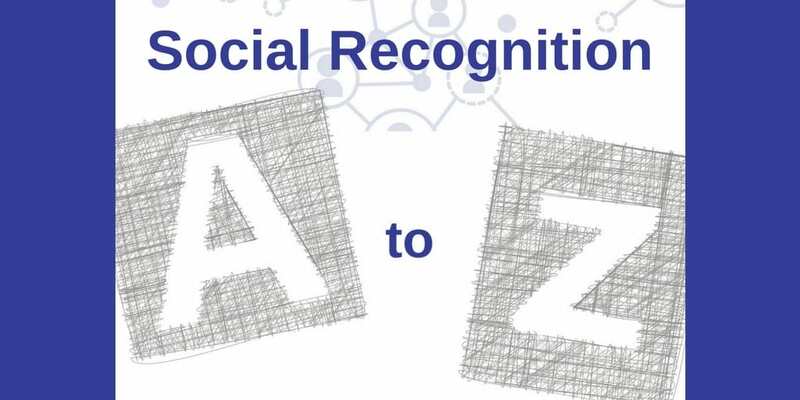 We hope this A-Z of Social Recognition has helped you to better appreciate the benefits of implementing Social Recognition. Timely, public employee recognition is consistently named as the number one catalyst for increased engagement and performance. It also helps to retain staff, preventing them from walking across the road to your competitors. An intuitive Social Recognition platform that encourages immediate peer and manager recognition and which celebrates your values and culture will be a boon to every organisation. As organisations scale, social recognition can grow with them. Individuals and teams across departments continue to stay in touch, encouraging the cross-fertilisation of ideas and work practices. 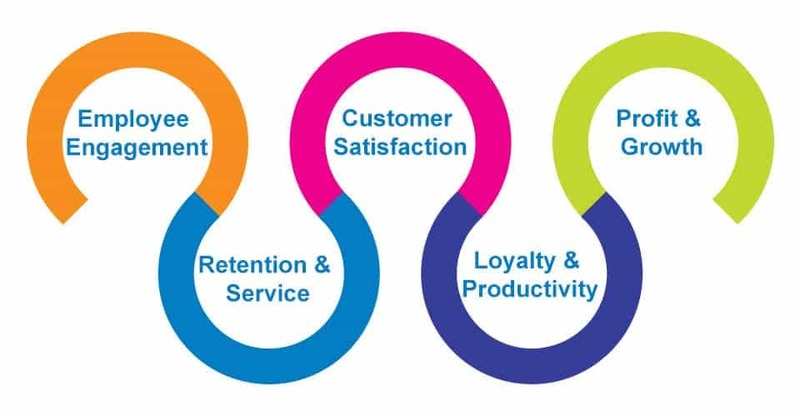 Social recognition: the win-win choice for the smart organisation. Dr. Paul Gadie assists companies to develop a culture of employee recognition & appreciation. In addition, he lectures in Theology at the University of Limerick, Ireland. His research interests include Church leadership, governance & how current business practice informs these activities.